Our tired stroller wheels wobbled from side to side along the uneven cobblestone of the Muttrah corniche. 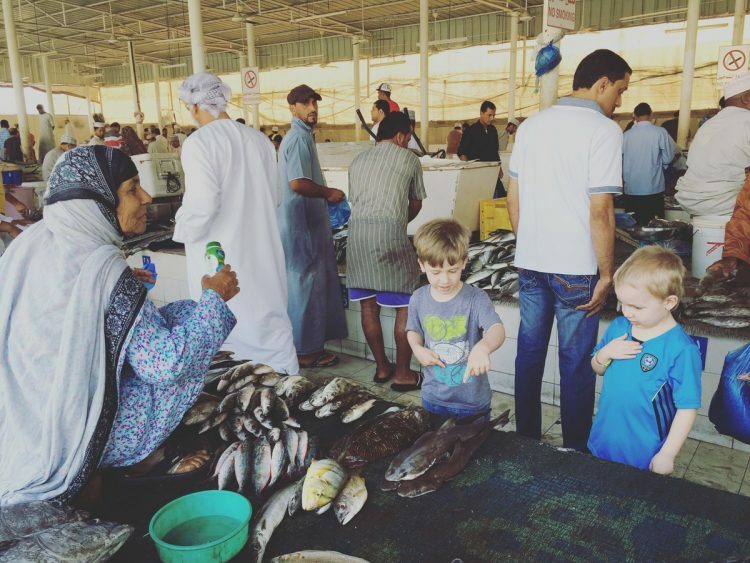 My cousin was leading us across the busy street towards the fish market area, nestled right on Muscat port, near the souk. The narrow road into the covered market was encumbered by several dozen parked pick ups. 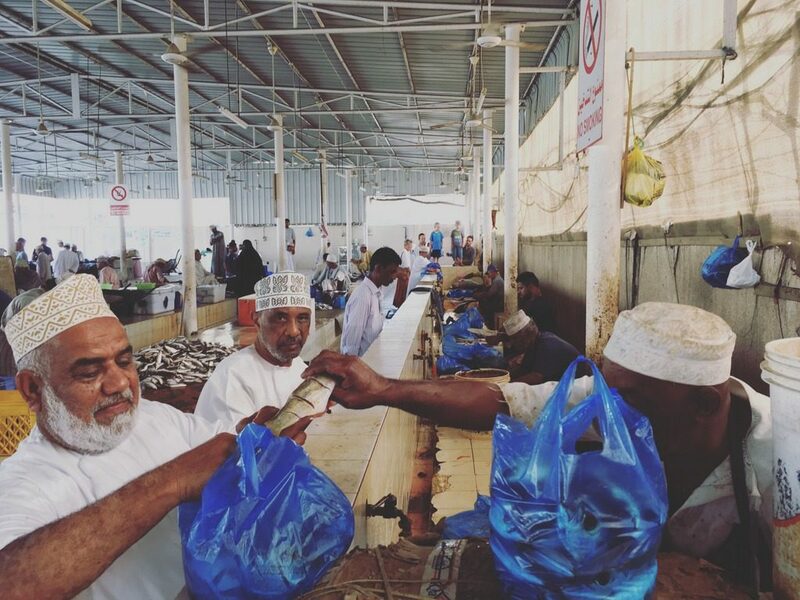 Omani fishermen were selling their fresh catch from tarps strung to their hatchbacks. Despite this early morning hour, ice was melting under the intensity of the sun. Pressing on a bit further, into the covered fish market, we could hear the haggling, the laughter and lively relational interaction that told us we were most definitely in another part of the world. Nearing the commotion, my soul came alive. I grabbed my long black skirt, raising it ever so slightly above the wet ground. I looked up to see fishermen’s toes peeking out from the spread before them. 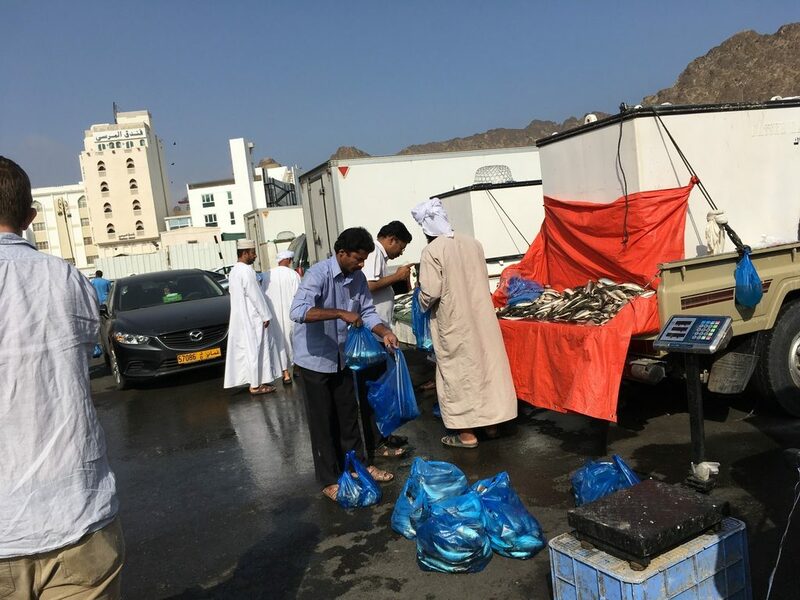 Each fisherman was sitting at his fish-selling platform, showcasing a most splendid variety of fish on wadi mats, those all-purpose woven PVC carpets. Baby sharks, squid, tunas, sordid sweetlips, parava fish and so many more species I know not by name. My cousin settled on a fish that looked like it had run into a wall: the flat nosed white Koffer, the size of a frying pan. We’d take two please – plenty for our festive meal with friends that we’d later eat with our hand (right only!) after enjoying the last of the Omani sweet cardamom tea. 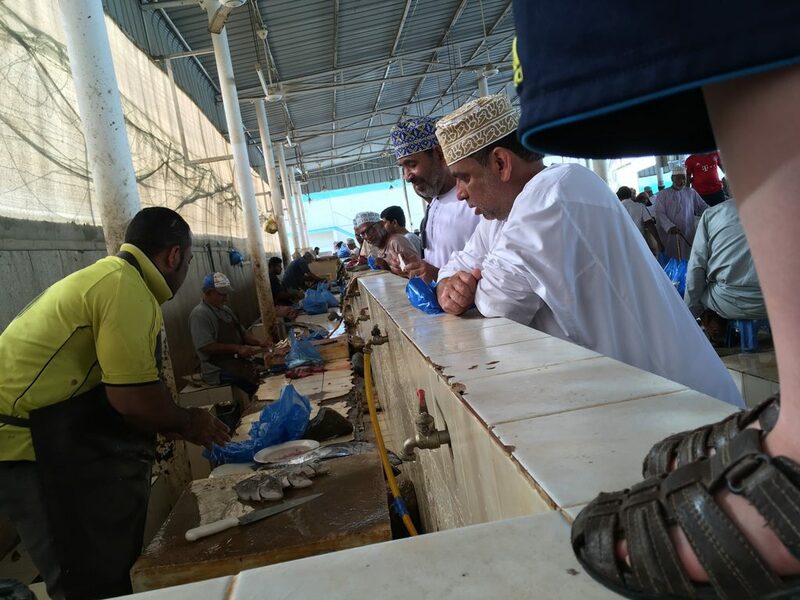 The kids wanted to watch the fish being gutted, so they stood on the ledge and watched the gory scene before them that they’ll never forget… Or will they just forget it all? 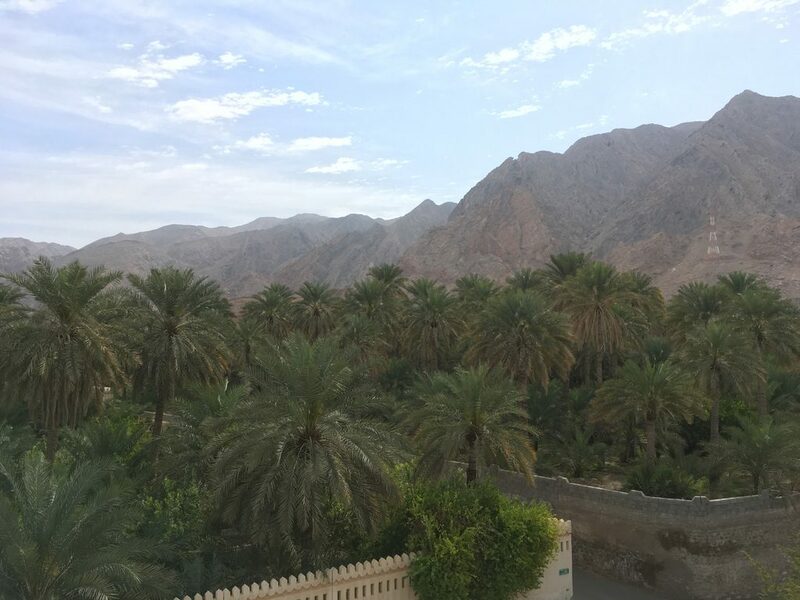 Because we believe travel is never wasted on young kids, we just returned from the enchanting Gulf state of Oman with three kids ages 4.5, 3 and 1. We have no regrets – apart for not checking that all five passports are valid for at least six months! (Oops.) It was such a phenomenal trip on so many levels. I am convinced that an experience like this is more precious than any thing we could buy them. But…we all have friends who think their kids shouldn’t travel until they are six because their children will never remember it. 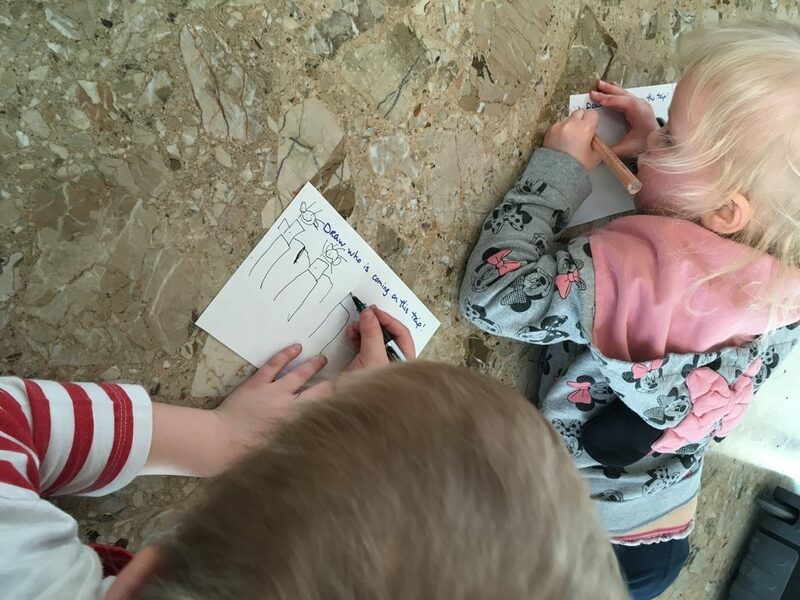 Despite the fact that many kids who start to travel at age six have already reached a level of discomfort, which could in fact make it a lot harder when they do come of age, it’s worth mentioning that even young kids can absolutely be given tools to remember their voyage. 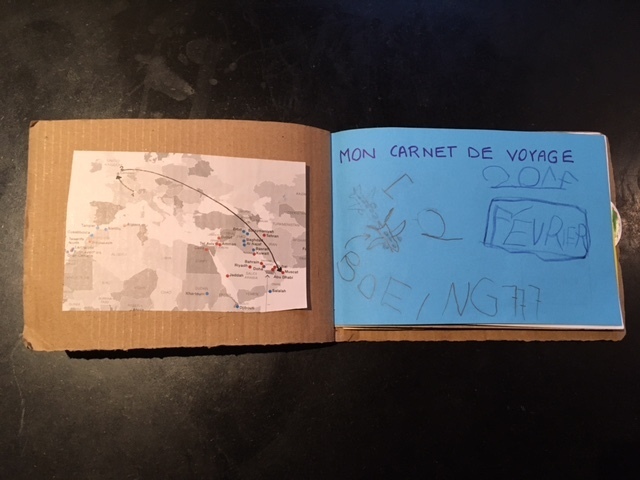 To remember our trip, we invited our kids to make a little scrapbook along the way. 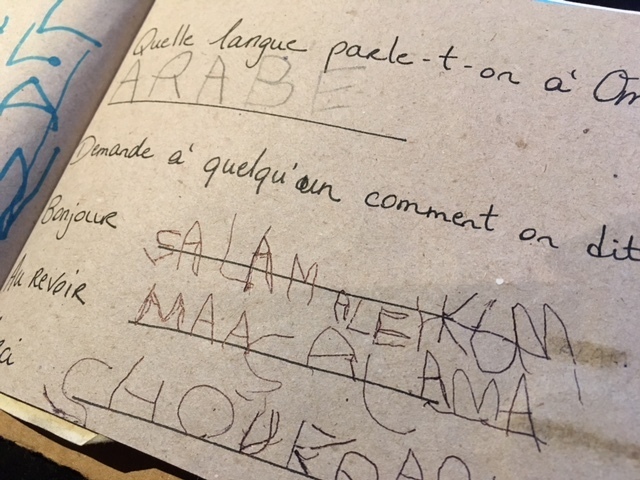 We called it their “carnet de voyage” or little travel notebook. 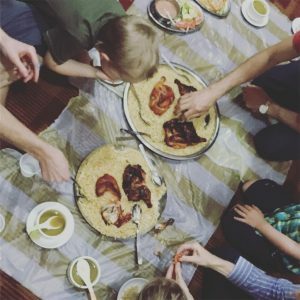 It was so much fun to put together, and dare I say that I discovered a few things about the so-called Norway of the Middle East myself. 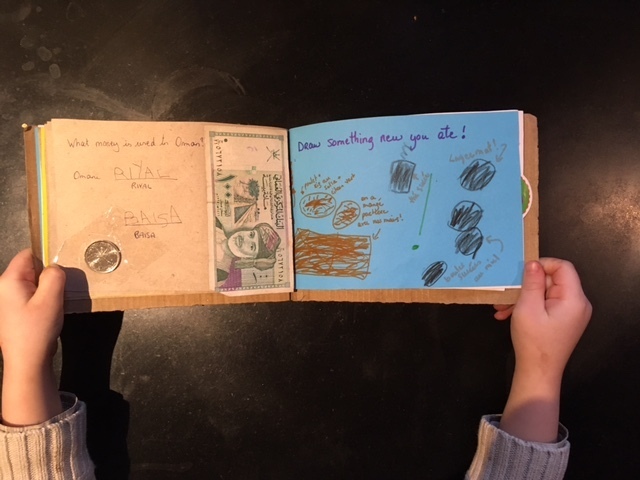 The little travel notebook is a simple idea, perfect for ages 4-8, but I also made a little younger version and you could certainly think of adapting it to older kids. While terribly simple, these little notebooks have given our children words and pictures to describe their experience. For once, this tool doesn’t have to cost anything other than the paper and ink you use. You can adapt it to any age or place you intend on visiting. Our kids wrote or drew in it each time their was a little downtime in our travel. On airport floors, during a quiet time, in the back of a car. It can be as detailed and creative as you’d like. 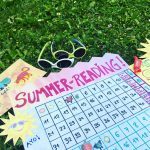 And if you are a busy parent like me, you can include a bunch of extra pages to make it up as you go, and even staple it all together on the road. This tired mama is all about simple, non Pinterest worthy crafts these days..
– Cut out the country you are traveling to from the inflight magazine (ehem) and locate the capital. – Fill in the blanks: I see a lot of ____. The buildings are mostly _____. – What is the local currency? 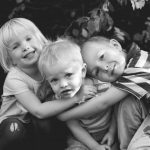 – How do you say hello, goodbye and thank you in the local language? – What was you favorite part of the trip? Draw it. 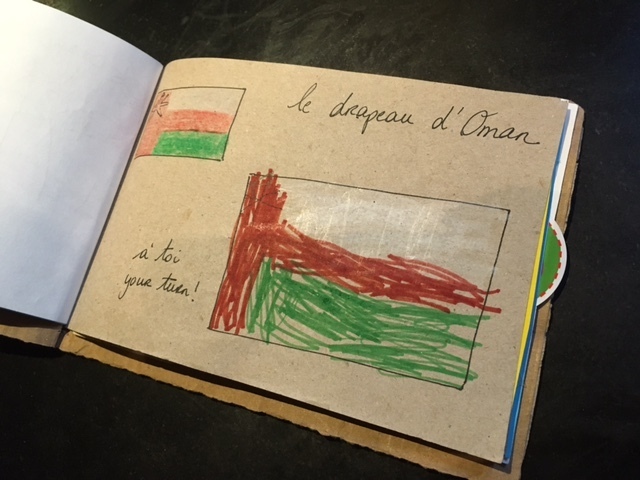 There isn’t anything like show-and-tell in French schools, but how could you not enthusiastically welcome little travel journals with adorable kid writing in a class setting? I was informed that the little classmates giggled hearing the greeting salaam alaikum after the whole carnet was read aloud. 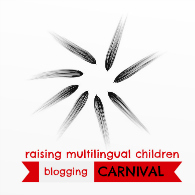 It all sounds so funny, so foreign, but precisely, that’s how to bring the world into the monolingual classroom, amiright? Of course, our kids are proud as punch by the notebooks they chipped away at little by little. Today, they carry them around in resealable bags so they don’t get wet or damaged. They love them so much that we’ve decided we’d even add some photos of our trip on the blank pages. Maybe of their second cousins. Maybe of the date-farms at the foot of the jagged mountains? Our children might be young, but they may just end up remembering more details about our trip to the Middle East than their parents ever will..
Update: Read about how these travel journals are helping our kids process their passport country on their first trip to the United States since they moved to France. Priceless, tender drawings revealing how massive the discovery was. Click over to here to read more. Love the idea of little travel notebooks! My son would especially have a great time with this. I love seeing the kids in the fish market! So many varieties to choose from. Hope you enjoyed the cool season. Aww, greetings, uncle! We couldn’t believe we had chosen the coolest season of the year. I later read that this part of the Gulf boasts one of the hottest climates on the planet! It was plenty warm for me in Feb..
I’m sure they will pull these booklets out from time to time..Lovely souvenirs..
Our friends who have returned from some amazing travels suggested they could pull them out for a storytelling evening. Carnet de voyage = today’s version of a slideshow. Perfetto! This mama hates crafts, but I LOVE this. I have a feeling I will be doing this with my kids over the years as we bounce around the globe. It’s not really a craft, more like a scrapbook. Kids love it, and it saves me having to lug around their scrap bits of paper, ticket stubs, shells and rocks. Why do they always have to store their rocks in my purse? Haha! 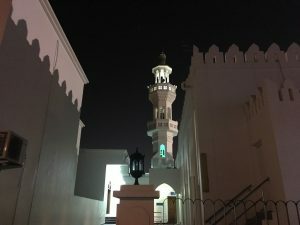 As a Norwegian currently living in Muscat and having travelled extensively with very young kids it resonated on many levels. 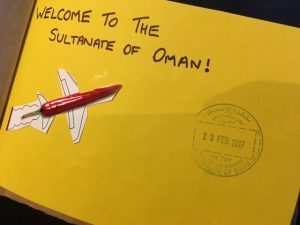 Glad you enjoyed Oman! Thanks for stopping by, Tone! It’s such a gorgeous country and I get the impression we will be back for a part two. We’re so curious about the Fjords in the north and the turtle action in the south! Wow this is such a cool idea! I don’t have children myself but I’m seriously thinking of staying to make such journals for myself haha! Great trigger for the memory! And also, to capture a picture or a blurb about your day you need to remember the experiences and process them once again. This in turn allows you to consolidate the memories. I used to make these sorts of things for myself too, no shame in that! Variations allowed! 🙂 And when I was a teenager, I made each family member write at the end of a vacation day, without looking back on what others had written. We’d read the whole thing on the ride home and it was hysterical. So fun! Where are you headed? Passing this on to our MK parents who are going on furlough soon! 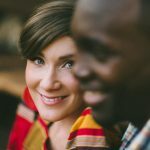 I think this can be adapted so well for a furlough experience – the States is a foreign land to many MKs after all! Yes absolutely, great application for it too! Thanks for passing the idea along!